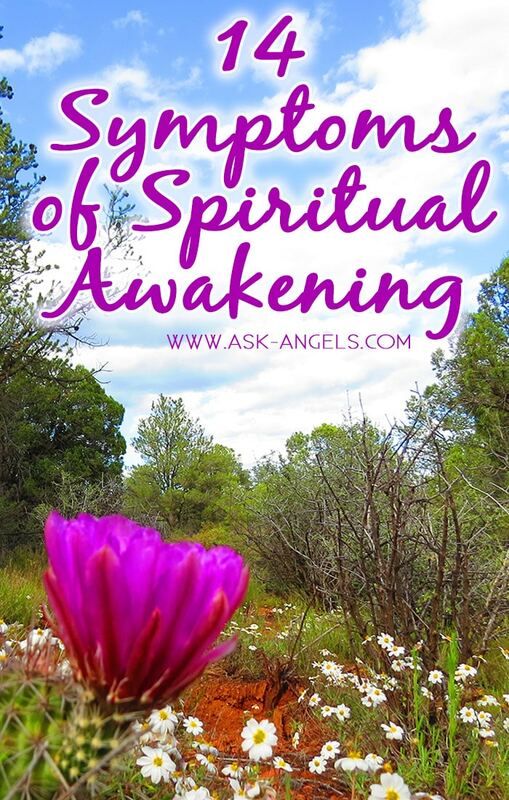 14 Symptoms of Spiritual Awakening.. Why Is This Happening? Like the caterpillar on it's journey of becoming a butterfly, we're all moving through a transformation process. Whether you fully realize it yet or not, you live in a time of awakening. The template of what it means to be a human being alive on planet earth is changing as we all awaken, and ascend into a much higher and lighter vibration. On an individual level, this includes becoming more heart-centered, intuitive, compassionate, creative, and crystalline as you open your subtle multidimensional psychic senses, and bring more light, and more of your true divine nature into alignment with your physical being. The actual process of spiritual awakening, however, is not easy. You may look around your life and see that many things are not as they should be or could be. But, you have to be at least a little bit awake to see this and be upset by it. To be even just a little bit awake means that you are someone who wants to live freely, spiritually, and harmoniously with nature and with others. If you have started to wake up, it’s likely that your television isn’t that interesting anymore and instead, time in nature, connecting with others, reading and developing relationships proves to be what brings you real happiness. What’s happening is that your consciousness is expanding. And as this happens, your interests evolve and your meaning and purpose in life start to shift. You have a strong desire to grow, to do your part and contribute to this spiritual evolution that’s upon us. Below are 14 symptoms experienced by those undergoing a spiritual awakening. Read on to see if you recognize yourself here. 1. You have the sense that something is different. Maybe you don’t know why or how, but you know… something has changed. You may feel less anxious, less troubled… Or you may simply feel more open, more accepting. This could be a sensation that you sought – through meditation, service, or healing, it could have come about due to a sudden shift in your life, or it could have simply come about for no clear reason you can find. That’s fine. Why is not important. What’s important is to sit with this new sensation, embrace it. The sense you have is one of growth and deepening calm. You find yourself responding differently and being less concerned with old dramas. You enjoy this new you, this shift towards an inner understanding and peace. 2. You feel yourself drifting away from some relationships. Spiritual awakening is not always snowflakes and kittens. It is, at times, challenging and scary. Sometimes this awakening asks you to let go of what is comfortable and reach for something new. As you grow through this process, not everyone in your life will see the change as positive. Some people may want you to remain as you were; some might even be threatened by what they see unfolding in you. Or perhaps your sense of “something’s different” causes you to feel strange and out of place in your current relationships. As this happens, you move first toward isolation as you try to sort through things. Over time you find that the universe is sending new people into your life, people who are experiencing or have experienced similar things. The connection is often quick and strong. You feel drawn to them and sense that they are lifting you up, helping you to grow faster and deeper. 3. You become aware of those things which no longer serve you. You begin to see with clarity how much you are holding on to that you don’t need. You hear yourself telling your stories and hear how those stories have never served you and have only held you back. You see the thought and emotional patterns that you’ve slid comfortably into time and time again. You also sense how easy it is to just let it all drop. Letting go of negative habits becomes automatic, something you feel the power of and know is important to you. Becoming aware of a negative pattern is the first step in changing it. You have only to identify them in order to move away from them. You feel relief, release, and so much lighter to discover this ability and this freedom. 4. You feel great compassion for the suffering of this life. Once you begin to awaken, it isn’t a process you can undo. Part of awakening is a growing compassion for those who suffer. 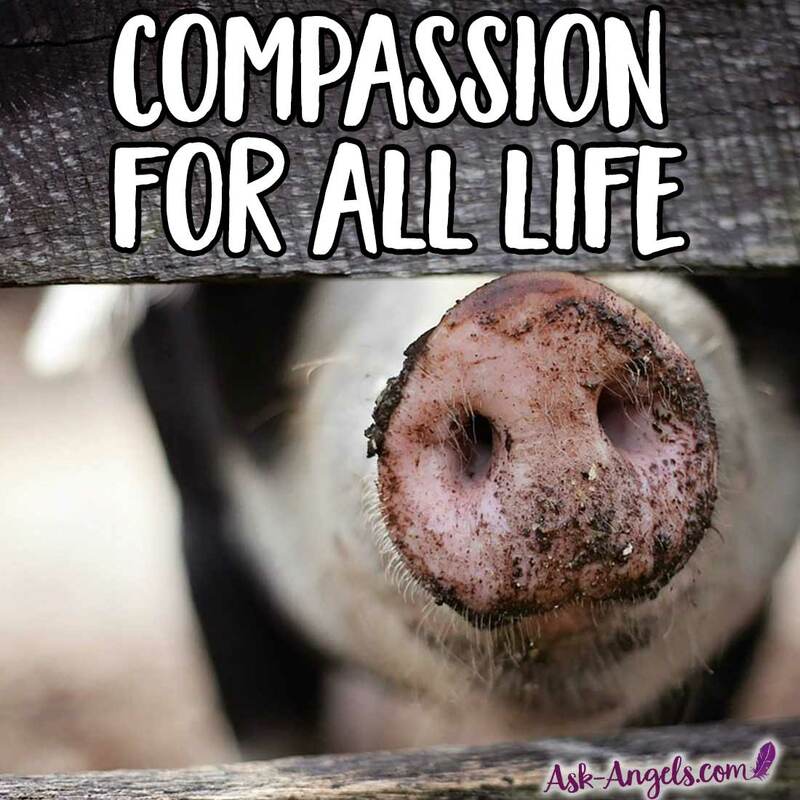 You begin to feel compassion for all life. You see your old ways in those around you: people unable to let go of hurt and negativity or living in a story that doesn’t serve them. You also see oppression repression, violence, depression, and anger in a sharp way. It can be shocking to wake up and see this great suffering so plainly. But I assure you, it’s part of the process. It doesn’t mean you also have to suffer or that you can’t feel happy until everyone feels happiness. It means you are awake to this life. It means you are not numb and turning a blind eye to the suffering of humans and animals. 5. You feel an urge to do something. Sitting in your growing inner peace is not enough. 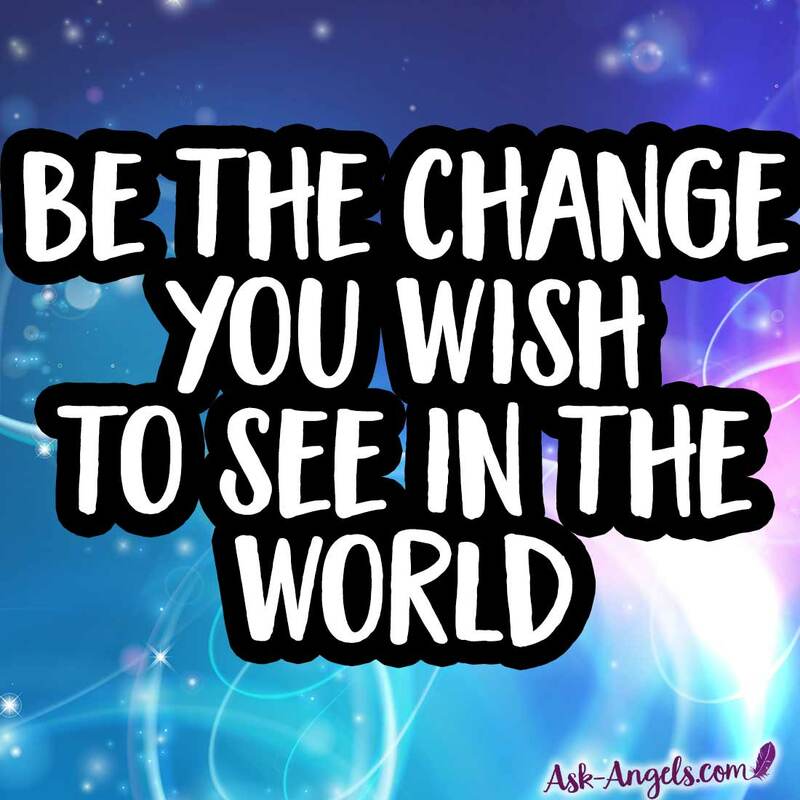 You have an urge to lead by example and positively impact the world around you. The greatest sense of calm comes to you when you give, when you help, when you serve. At the same time that you begin to accept that we are as humans each on our own paths, and sometimes this path involves great suffering, you also begin to accept that you can seem like an angel to someone when you simply give of yourself. And you want to start taking steps to help others and bring joy and value into their lives. 6. You become more sensitive. Your physical senses amp up and all sensations become more enjoyable. Everything you experience feels heightened and you take more pleasure from the things of life. You spiritual senses also increase. Your intuition, creativity, consciousness, and inspiration move into high gear. As this happens, you learn to be guided by them more and more. These senses become part of your guidance system as you go through life. At first, this is not all positive. Your increased sensitivity may be incredibly challenging as you begin to see the underlying energetic truth of people, places and situations unlike you ever have before. 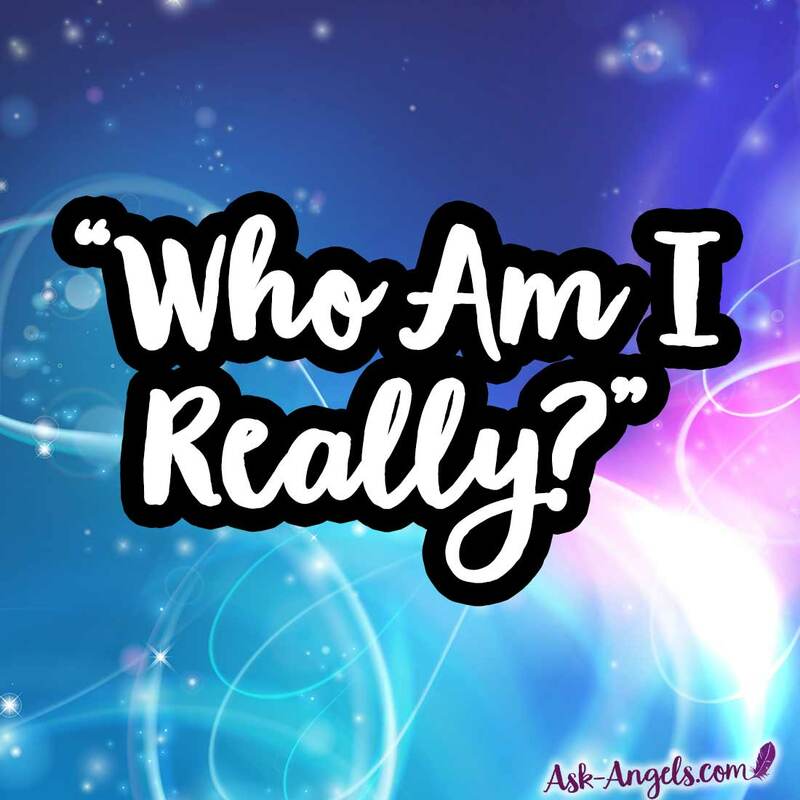 Most ancient spiritual traditions and modern spiritual practices point to this one question: Who am I? As you awaken this question come to you more and more. It’s a natural evolution to begin inquiring or meditating on this question. You must dig down through the layers of story, of expectations, of masks, of things that seem real but simply put, are not. You begin to have a strong desire to step away from illusion and know yourself as you truly are. You sense that if you can experience this truth, you will become one with the Divine. 8. 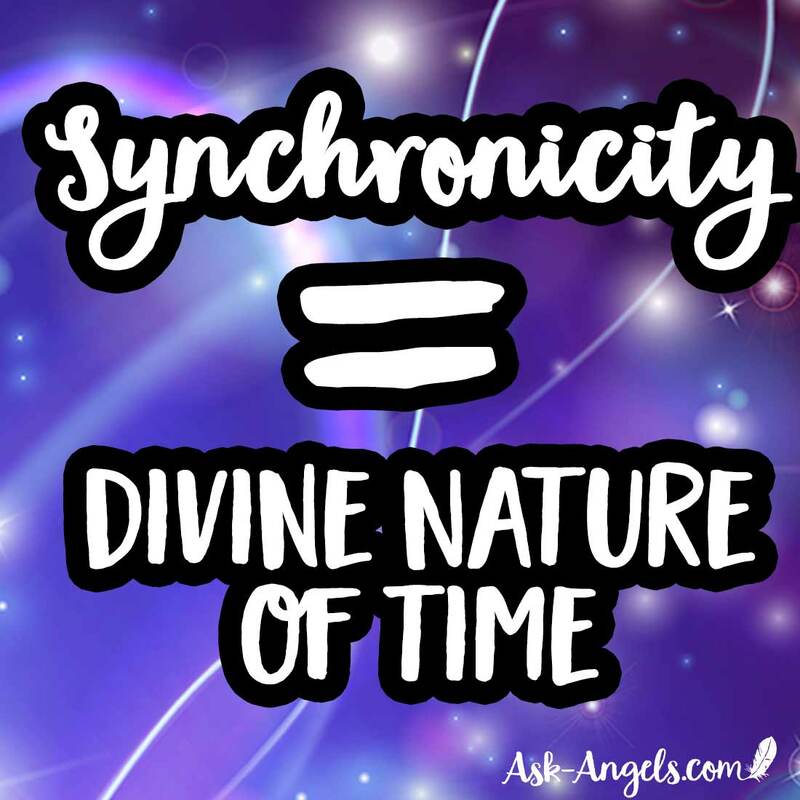 You begin to regularly experience synchronicity. As you awaken, your energetic vibration increases. As you learn to stabilize and live in these higher frequencies, the more you become aligned with the flow of the universe. It becomes inevitable that what you want and need easily and quickly manifests. More and more positive experiences find you, which increase your vibration, which then creates more positivity. It’s a powerful feedback loop with the universe. You don’t see yourself as lucky or special, you understand that you are connected and allowing all that naturally flows to enter your life. You begin to align with the Divine nature of time, and chance meetings, opportunities, positive omens, signs and synchronicities all begin to align for you as a result. 9. You experience a loss of identity. Awakening sometimes begins as shattering loss. You are moving through your life at full power. You're creating, manifesting, feeling on track with your goals and ambitions. You’re good at your life. Then the universe takes away that which was essential to your core. You are no longer – or you no longer have – that which made you… you. In facing a loss of identity. Ask yourself, are you willing to let go of who you were in order to discover who you are becoming? 10. Your sleep patterns change. You experience stretches of time when you need much more sleep than usual. You also feel tired in the mornings. This could even extend to feelings of fatigue and a lack of motivation. Spiritual awakening is a process of integration. As you raise your vibration your physical body must adjust. As you allow higher levels of consciousness to permeate your being, you have to allow yourself time to assimilate new information and new ways of being. Interestingly, the opposite is also true and you may experience periods of intense energy and drive. 11. You lose interest in lesser emotions and thoughts. You see that your emotions have a very distinct purpose: to guide you to the highest and best vibrations. When you feel bad, you’re attracting a negative, or lesser, vibration. You understand that the drama, worry, conflict, depression, and more are all various forms of fear. You also understand that you want as much trust, love, joy, and gratitude in your life as possible and so you allow your positive emotions to guide you towards them. 12. You feel a sense of Oneness. Spiritual awakening is about letting go of the belief in duality; in the belief of “other.” Spiritual awakening is the understanding that there is only one, and that you are that. You begin to see that you are not separate from the world you live in or from the Divine. The ego dissolves and you become the “watcher,” who sees everything, participates in everything, feels everything, but does not identify with the illusion of duality. 13. You experience health challenges. poor health, it can be a sign that the dense lower energy of your consciousness is shifting and transforming to make way for higher energy, this is often called a “healing crisis” and you can learn more about it here. It can also be a wake-up call to motivate you toward your awakening. 14. You experience tingling at the top of your head. At the top of your head is your crown chakra. As you awaken spiritually, you may begin to notice tingling, tickling, pressure, vibrating or even itching sensations in the area of your crown chakra. This may also happen in your hands, your third eye chakra, and even along your spine. There's nothing to worry about if and when this happens, the sensation simply means you're opening to allow more Divine light and frequency to flow through you. Consciously supporting your awakening process with meditation, chakra balancing, and practicing presence and awareness will help you to glide through the symptoms of ascension so you can experience the many blessings. Learn more about the Spiritual Awakening Process here! 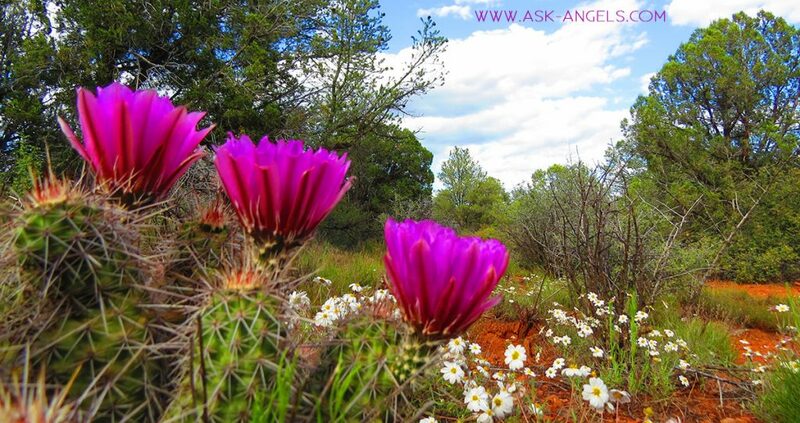 And finally, for more insight into awakening, check out the Ascension Angel Course. Earth Angels- 31 Signs You're An Earth Angel & What to Do If You Are!